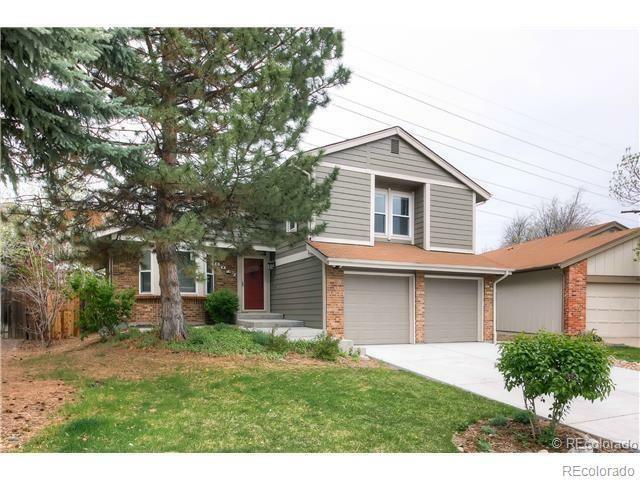 Beautifully remodeled home, in sought-after Willow Creek Community, offers a large and open floor plan. Cozy dining room with bay windows. Open kitchen with modern cabinets, light fixture, high end appliances, and granite countertops. Vaulted ceiling in both kitchen, great room, and family rooms. Double sided fireplace. Brand new double pane windows installed 4 years ago which conserve energy. Master bedroom offers a flex space - perfect for office or retreat. Finished basement gives family extra space for entertainment. Covered patio and good size shaded yard with a storage shed. Fresh new paint both inside and outside completed in 2013. Brand new roof installed in 2014. Carpet, wood floors, bathroom tiles and fixtures are all brand new since 2013. Walking distance to parks and shopping. Award winning schools. Quick and easy access to freeway and light rail. This is a perfect place to call home!